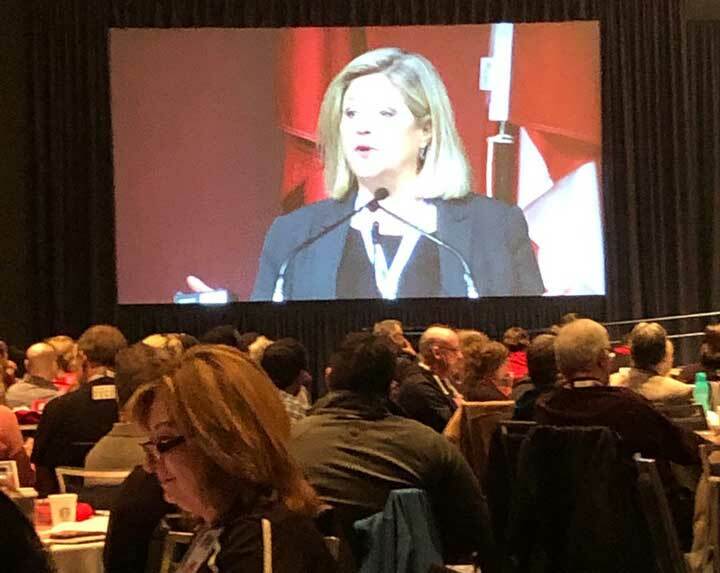 More than 800 delegates from across Ontario attended the OFL’s Power of Many conference in Toronto March 25 to fight the Ford government’s anti-worker policies. The Ontario Federation of Labour (OFL) will spearhead a campaign to ask Conservative MPPs to put pressure on Premier Doug Ford to derail education cuts and anti-labour policies, the CBC reports. Union leaders will ask their members in constituencies held by Conservatives to pressure Ford to abandon his anti-worker policies, the report says. 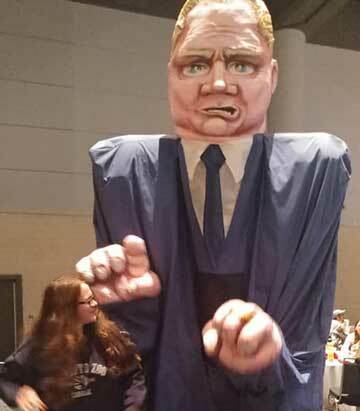 The threat of Doug Ford’s cutbacks on display at the OFL’s Power of Many conference. 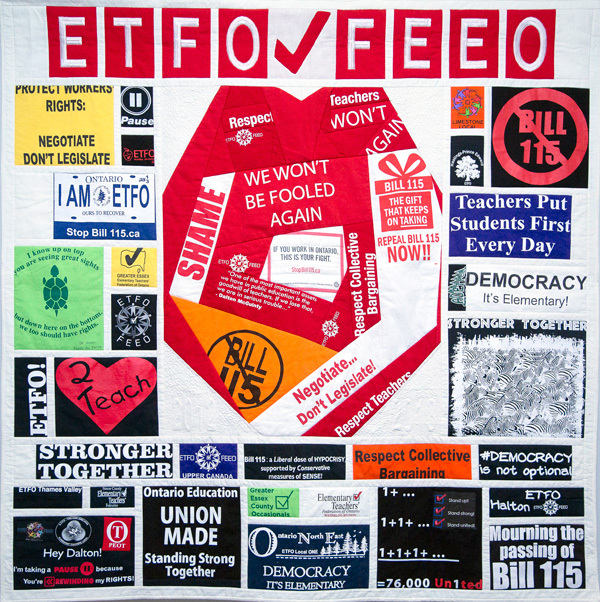 The campaign was outlined at the OFL’s Power of Many conference in Toronto March 25. More than 800 delegates from across Ontario met to plan a strategy to fight the Ford cutbacks. 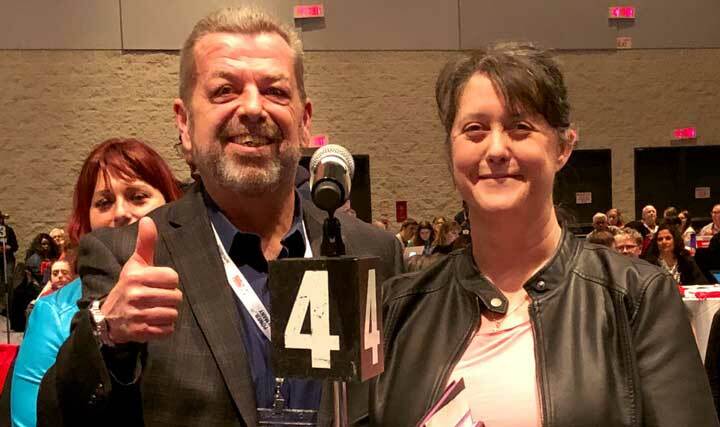 ETFO President Sam Hammond shows solidarity with Liz Stuart, president of the Ontario English Catholic Teachers’ Association at the Power of Many conference. 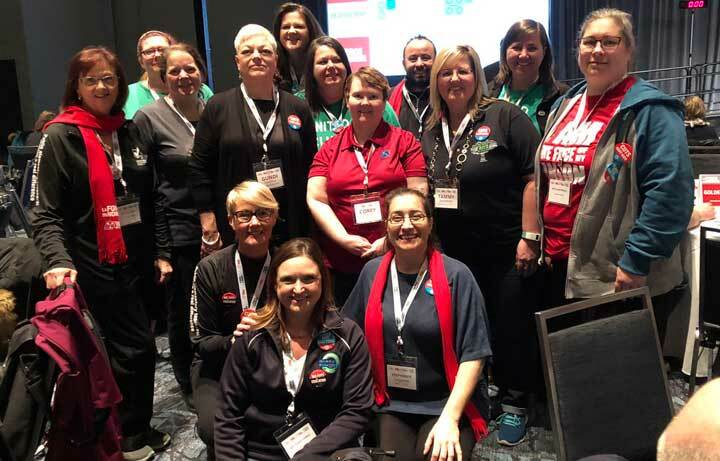 Some of the ETFO delegates who attended the OFL’s Power of Many conference in Toronto March 25. Ontario NDP Leader Andrea Horwath addresses the OFL’s Power of Many conference.